1000 - 4 color guest passes with your club's info. 4.25" x 2.75", 1 side only. 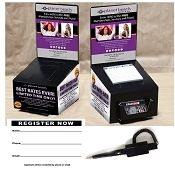 Multi Functioning Lead Box Lets your potential member have the option to fill out an entry form and taking a pass . 1. 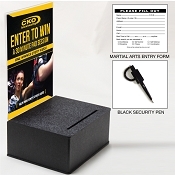 Your potential member fills out an entry slip or takes a pass. 2. Gather your leads at least once a week. 3. 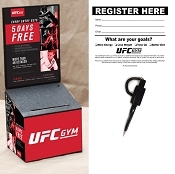 When calling, tell the person that they are invited to try your gym for a Free Week. Schedule an appointment for them to come in. By offering an extra bonus offer (ex. 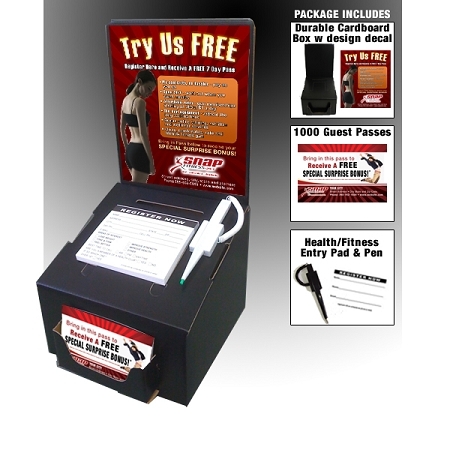 free water bottle, gym towel, discount off membership, etc), just for coming in, will decrease "No Shows."